What good is having flawless skin and quality makeup if your tools aren’t on the same level? And the answer may just surprise you. Welcome Bdellium tools! And it is pronounced del-ee-uhm, and the “B is silent” as stated by the company FAQs. At first glance these brushes may just look like another pretty alternative colored set, but after learning more about the company and then the brushes made the purchase worth that much more. Running across the Bdellium booth at the 2012 NYC IMATS was both good and bad. The good, I found some great alternatives and new tools to add to my closet. The bad, I was out of money and had already made my brush purchases for that year. 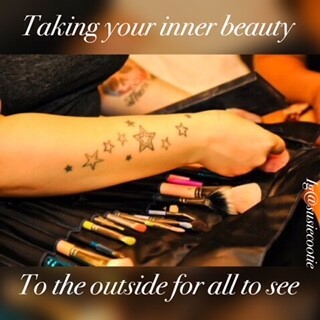 Fast forward to the 2013 NYC IMATS and I eagerly made my way to their booth and was met by a very spirited young woman who actually inspired me to start this blog. Bdellium offers the standard array of professional quality brushes with real animal hair but this specific line of brushes dubbed “Green Bambu” are 100% vegan and cruelty free. If color is your thing they offer the same brushes in yellow and pink. I love the eco-friendly vibe this line offers first by being made of one of the most sustainable natural resources in the world bamboo, and next is the use of a synthetic vegan bristles that are unbelievably soft. After using this brush kit for nearly a year it has not started to shed or break down from use or cleanings. #781 was created for blending into the eye crease especially when using contrasting colors. From its perfect shape and ability to grab product and apply makes it one my favorite brushes to use. #777 I have done it all from general lid application to shading towards the crease, and even gently highlighting the brow bone with this easy to use multipurpose shadow brush. #769 the angled contour brush has the perfect amount of firmness. Unlike other angled contour brushes I have used this one has yet to let me down by losing its shape. Works well for the initial application of shadows on the outer V.
#760 has become my Holy Grail line/brow brush since I have owned many in various brands at various prices and Bdellium has gotten this one down to a science. I always use this one for the lower lid blending along the eyelash line. Its fine tip and extra small head makes it perfect for a sure close application and thin lines. Fall out is non-existent and captures enough eye shadow product to get the job done. And of course using this to create blurred lines for shaping your eyebrows is a must. Honestly you can never have enough of these in your kit. #716 which is an eyeliner brush that has a tapered tip for setting the framework for the perfect smoky eye. Bdellium will be at the 2014 NYC IMATS and I can’t wait to add more brushes to my shelf! Being a geek was seen as being uncool, nerdy, and all those other hideous terms of hurt, but one woman has made it completely trendy to be a “makeup geek”. Just over five years ago Marlena Stell followed her passion for makeup and began what has now become a vast foundation of knowledge and possible friendship through her website/blog/community that is MakeupGeek. 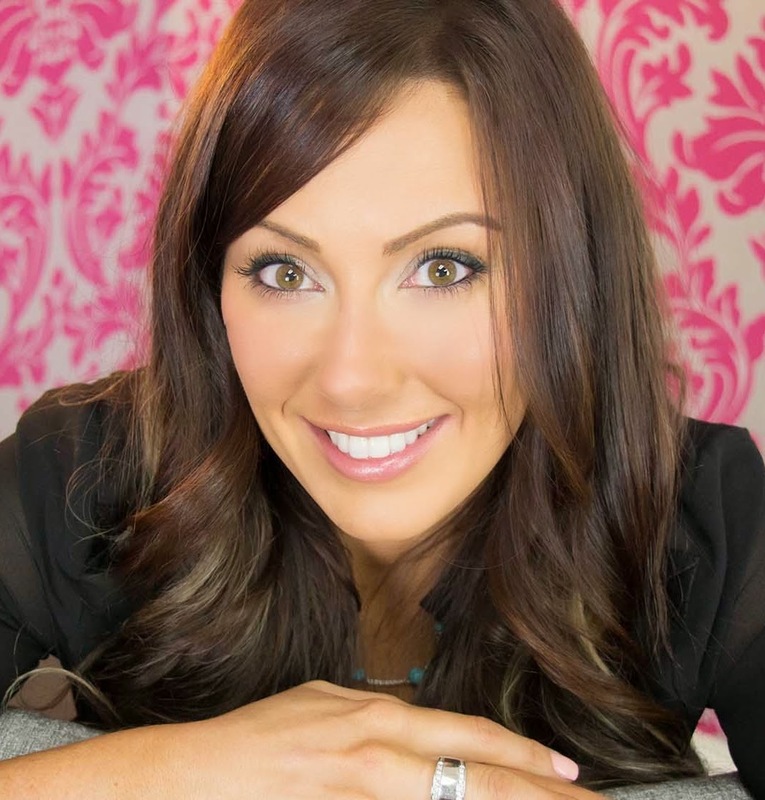 This CEO and founder is a freelance MUA and educator so the obvious choice of starting her own Youtube channel appeared to be an easy transition. Many woman, both young and mature, have found her kind personality and great instructional videos extremely useful. Since 2011 Makeup Geek launched a line of highly pigmented eye shadows comparable to MAC, in my opinion. Not only are there sixty different shades, so you can surely find a close match to your favorite colors from any brand, but they are simply AFFORDABLE at a steal for $5.99 a shadow. Having made my first purchase on May 7th 2012 Burlesque, a shimmery burgundy, and Chickadee, a dead on match to MAC’s Rule made it easy to see why Makeup Geek was going to last. During 2012 sixteen creamy non-drying lipsticks made their way to the public as well as ten iridescent pigments in 2013 that anyone would find a way to create a new look. And I can’t forget to mention the complete line of professional quality brushes that are adorned with the Makeup Geek name. And with the anticipation of blushes being in the works Marlena has made sure there are new products coming every year. Not only does Marlena have her makeup educational/community website, which is a personal favorite, but visit www.simplymarlena.com to follow her personal blog to receive some insight into her world. 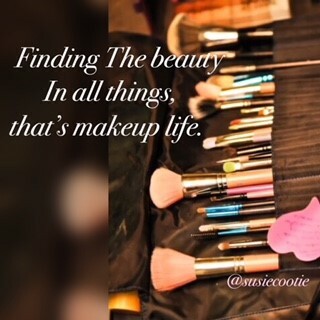 Of course you can always follow her @MakeupGeek and find all things related by searching #MakeupGeek. This is a shining example of what having a strong support net of personal and professional friends can do. She has taken her followers through her personal struggles of weight loss, divorce, and even the loss of her Father. While being an open book she still remains positive and can even smile through the pain always having perfectly applied lipstick. Make sure to check out, if you haven’t already, www.makeupgeek.com to get great advice products and so much more! This was my first time getting naked and I loved it! Being the follow up palette to the highly successful Naked and Naked 2 this was my chance to try a slightly different than my usual color range. Packaged in a rose gold mirrored tin having NAKED 3 on the lid you can certainly not confuse what is inside. Loaded with twelve never before seen rose hued natural shades this was a must try for me. applied beautifully and is silky to the touch. · For some reason using brushes for application of Dust caused excessive fallout so to remedy this I simply used my finger in a stippling motion and found that worked best for me. I LOVE this iridescent micro glitter shadow. · The satin finish of Burnout with its combination of peach and pink just works with its soft shimmer. · Unfortunately Limit didn’t work well with my pale skin. This light matte dusty rose would be complimentary for those with olive or tan skin tones. · Now Buzz is one of those shadows that will work whether you are ivory or ebony and anywhere in between. If you are a fan of the micro glitter shine and silver undertones try this on for sure. · One of my favorites in this palette is Trick and it is certainly a treat for the eyes being worn alone or blended this pink-copper infusion gives a great sparkle. · Nooner is a strong brown matte that didn’t work well for me. · A great mauve shimmer Liar is a solid deep color which has been worn more than once on my eyes. · Factory is a satin finished pink brown which needs further exploration to find that right combination. · Continuing the metallic shimmer Mugshot is a solid taupe worth adding to some of the heavier rose infused colors. · Darkside is true to its name being a deep taupe mauve blend in a satin finish. · Last but not least Blackheart, a close duplicate to MAC’s Beauty Marked, is a smoky black matte with rosy red micro glitter. There will certainly be heavy use of this palette this Spring, as I have committed to NAKED! Check out www.philosophy.com for product info. Baked goods, homemade or otherwise, are a major part of our lives whether we realize it or not. From fresh cookies on a tray to muffins in a box the smells are unforgettable. And that’s where philosophy’s shower and bath gels come in. This month is philosophy’s 18th Birthday and the proof is in their products why they will be around to celebrate many more. There are at least four different scents I have tried and loved them all, but cinnamon buns has that great fresh and sweet smell without being overbearing. The gel is a creamy white color and lathers very well as a shampoo or body wash. It has never left my skin feeling irritated or like there was a layer of film after rinsing it off similar to other shower gels. And don’t forget to add it to running water and it becomes a relaxing bubble bath that anyone will enjoy breathing in the warm aromas of cinnamon and warm sweet milk. Keeping it simple the philosophy shower and bath gels are packaged in clear bottles with black stamped printing of actual recipes of that product. These gels are the perfect gift for anyone who enjoys their shower or bath time. Check out www.blissworld.com for product info. Being a fan of Bliss products I couldn’t help but want to try one of their face washes. Of course using the Triple Oxygen +C Moisturizer daily has given me high hopes. This 2-in-1 oil free gel like cleanser also doubles as an exfoliator. For me this was a no-brainer as a morning face wash since using a Clarisonic twice a day was causing irritation. Made with soothing botanicals like chamomile, rose hips, passion flower, and milk thistle not only makes it beneficial for your skin but your nose as well. It has a lovely soft fragrance that has come to be a great morning eye opener. Like most I do enjoy the occasional orange scented barrage in the morning but some of those chemical orange odors are just overwhelming. I must say peppermint makes me think of an additive for hand and feet lotion not necessarily a face wash so a floral scent seems to suit this product. There are small particles that give this face wash a grainy texture but are much less irritating than the usual face wash laced with walnut shells for example. As the name states I was assuming this to be a “foaming” face wash in the sense as it is pumped through the dispenser it aerated and became a light frothy product. It does however start to slightly become foamy as you work it on your skin. Don’t be fooled by the size, the price definitely reflects a good value for a great product. This is a keeper in my closet and I hope you will try it and put it on your shelf too. Check out www.mariobadescu.com for product info. As every female knows when Aunt Flow comes to visit sometimes she brings baggage in the form of outbreaks. Let’s face it, blemishes happen but for that one week out of the month there’s that one zit that throws my makeup and facial cleansing routine into a tailspin. Having tried Mario Badescu’s Acne Serum without any noticeable difference I had no expectations of this product. That was until I saw a Youtube review posted by Jacklynn Hill, MUA and Youtuber, that mentioned the Drying Lotion as a skincare product she used. The first thing you see when looking at the Drying Lotion is what you think is a separation of the product. Truth is, you are right. At the bottom of the bottle, which comes in your choice of glass or plastic both are recyclable, is the calamine to help calm itching and the yellowish liquid containing the acne fighting and drying components sits on top of it. DO NOT SHAKE, appears on the bottle letting you know it is supposed to stay separated. Application of this is simple just dip a cotton tipped swab into the bottle pull it out and press it onto the troubled spot. As with most OTC acne treatment products they all have a smell and this one is no different. Using this overnight is highly recommended as the medicinal smell lingers but also oddly relieves slight congestion problems, for me at least. Aside from the smell this Drying Lotion works. As if magic when applied to small whiteheads and red spots they almost totally disappeared overnight. For larger blemishes it takes a couple applications but they certainly go away much faster by using this then without. Now if I only had this as a teenager I would have saved not only money but torturing my skin by using “medicated wipes” and creams that seem to do more harm than good. I definitely say this product is worth a try but remember a key ingredient in this is still Salicylic Acid so if you are sensitive to this be hesitant. The list of ingredients can be found on the Mario Badescu website along with legibly printed on the container. The Drying Lotion has earned its place in my closet and on my shelf.